If your domain registered in WebWave website builder expires - you can easily extend its validity to even 10 years. Select "My domains" from the right side of the panel. 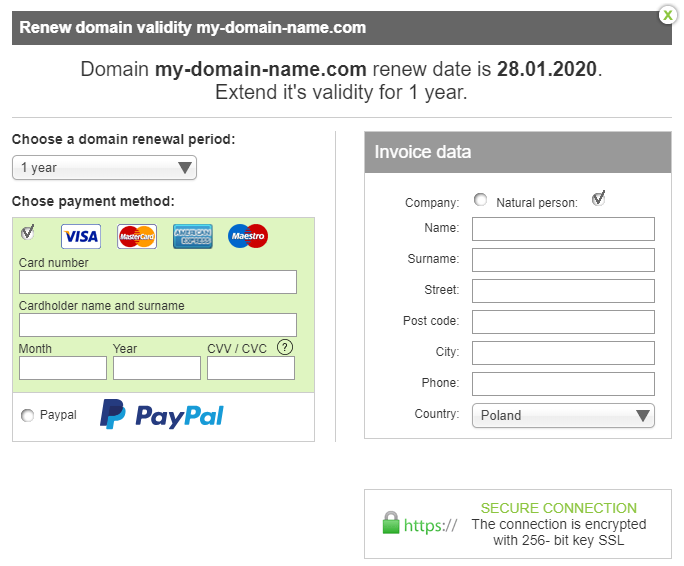 Select domain which validity period you'd like to extend. 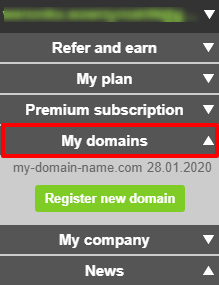 In a new window choose "Renew domain". Select the validity period, fill the form and make a payment. After making a payment validity period of your domain will be extended.